You know you guys, I have goals. Goals in life, which are best not thought about, as they are amorphous and lacking in direction. Goals for the day at hand, which currently include "getting out of bed" and "brushing hair". That kind of thing. Goals for the week ahead, for example "don't eat too much cake" and "stay away from Subway cookies". Goals for the spending of my tax return. These range from the worthy, "put in to savings"... to the not so worthy, "should I go for the sky blue KitchenAid or the almond cream". The wistful, "some for going on holidays" to the desperate, "man, I'm totally effed up if I don't get as much as I calculated..."
And then there is this, "maybe I will finally get my tattoo". The tattoo I have been thinking about, and planning for, and mulling over, for two or three years now. Maybe I will finally get it. Here is my inspiration. I shall leave the imagination up to you. 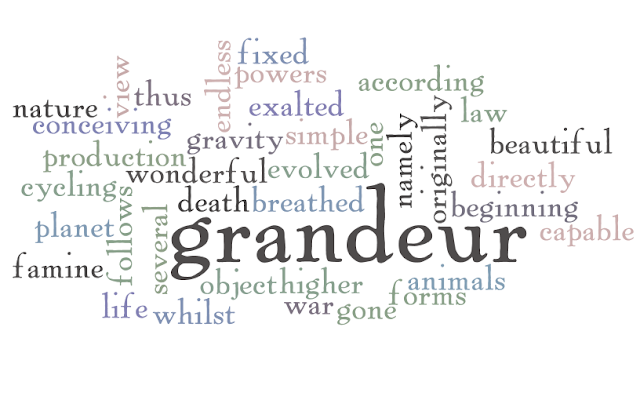 There is grandeur. Do you see it to?